The right mix of price, coverage and service. Insurance can be a complicated purchase that requires more than 15 minutes of your time. 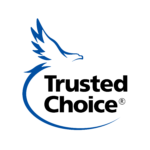 As an independent insurance agency we work for you, not the insurance company – giving you the power of choice. As an independent insurance agency, we represent many different insurance companies which offer a wide variety of coverage options and price points. With our connections and knowledge of the market, we can often find a better value for your insurance dollar than you might find searching on your own. We do the shopping. You do the saving. In the end you get the right blend of price, coverage, and service. Our licensed insurance advisors know insurance and can explain the complexities of insurance in simple terms, helping you make smart decisions. They make a career out of assessing each client’s unique insurance needs and matching them with the insurance company best equipped to meet those needs at a price that fits the budget. Our insurance agents become your personal advisor and advocate, taking the time to listen to you and understand your individual needs. They know it’s not just about finding a price you can afford; it’s also about making certain you are appropriately covered so that you don’t end up insurance-poor if you do suffer a loss. And, if you have a billing or claim concern, or need to change your coverage, they will serve as your advocate, working with the insurance company on your behalf. 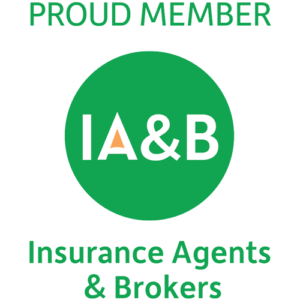 As an independent insurance agency, we can meet all of your insurance needs with the companies we represent, providing personal, business and employee benefits solutions under one roof. The best insurance for one person may not be the best for another – because everyone’s situation is different. We are committed to help you find the BEST insurance for YOU. Our insurance agents don’t end the relationship when you sign on the dotted line. They periodically review your coverage to ensure you have the right protection in every phase of your life or business. They are there to help you through all the changes in your life, whether you’re going from renting an apartment to buying a home, starting a business, getting married, renovating your home, adding a teen driver to your auto policy, or looking for ways to enhance your employee benefits package. We’re local to the Washington, PA community. Our insurance agents are your neighbors…they share your interest in the community where you live, and understand the benefits and challenges of these areas. They are highly involved in the community, sponsoring youth sports teams, buying from your local businesses, supporting school organizations, and voicing opinions at the monthly Chamber of Commerce meeting. They are right around the corner, ready to help. We are a regional agency located in Washington, Pennsylvania with personal and business clients spanning from Chicago to New York City. © 2019 Chambers Insurance Agency. All rights reserved.